The final event of the 2016 Bordeaux Tour by ombiasy was a tour of and dinner at Château Haut-Bailly. It was a most memorable evening thanks to our charming host, Diana Paulin, the very special setting in the dining and the living rooms of Château Haut-Bailly, the excellent food of Chef Jean-Charles Poinsot, and – last but not least - the superb Chateau Haut-Bailly wines. We started the dinner with small bites and a Pol Roger Champagne in the living room of the chateau. We then moved over to the dining room for dinner. Château Haut-Bailly has 28 hectares of vineyards which are very well sited on high, gravelly ground just east of Léognan village. In total the estate produces 150,000 bottles annually. Approximately 50% of production from the property is Grand Vin, 30% is second and 20% is third wine, although this will depend on the vintage. Château Haut-Bailly was one of the first to produce a second wine in 1967. Originated from the same plots and made with the same winemaking techniques as the first label, La Parde Haut-Bailly is subject to the same draconian selection controls. Over time, it has developed its own personality, displaying a pleasant silky texture on the palate and achieving a style of elegance and refinement. Although its softness and forward aroma mean it can be drunk sooner than Château Haut-Bailly, it also has good aging potential (5 to 8 years). Incredible intensity and deep red and black fruit with the finest tannins of the vintage coating the palate. It has precision, grace, complexity and power with an outstanding richness that fills the mouth completely. Better than 2009 or 2010? It sort of sits between the two. The power of 2009 and finesse of 2010. A real must have and I think the price will be down on last year, but I worry about being able to buy enough. Heavenly happiness! Simon Staples, Berry Bros. and Rudd’s Fine Wine Director. The Wine Advocate - "A candidate for the -wine of the vintage,- the 2008 Haut-Bailly possesses incredible complexity. Tell-tale notes of lead pencil shavings, charcoal, damp earth, black cherries and black currants intermixed with a hint of subtle barbecue smoke are present in this classic, quintessential Graves. Medium-bodied with an emerging, precocious complexity, it is a super-pure, beautifully textured, long wine that can be drunk now or cellared for 20-25 years. Bravo!" After dinner we moved back to the living room. Founded in 1875, Weingut Robert Weil in Kiedrich is the #1 estate in the Rheingau and one the best in Germany. Weingut Robert Weil only makes Riesling wines, ranging from entry-level dry wines to ultra-premium Grosse Gewächs wines and world class noble-sweet Riesling wines. The grapes are grown around the historic and very impressive Robert Weil estate, in the Gräfenberg and other vineyards. Weingut Robert Weil is strong in the domestic market but also available around the world. 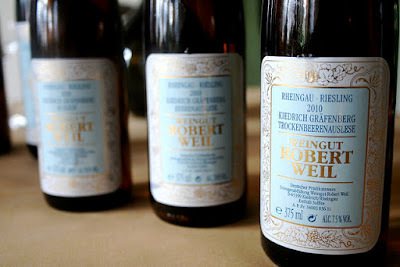 Arguably, Weingut Robert Weil Riesling has become a flagship wine of Germany over the past decades. Wilhelm Weil, the 53 year old Great-grandson of the founder, General Manager and Owner (jointly with the Japanese Suntory beverage group since 1988) of Weingut Robert Weil, recently embarked on a new venture. He enlarged the Weil Rheingau/ Riesling portfolio with entry-level Chardonnay and Pinot wines (Pinot Gris, Pinot Blanc, Chardonnay and Pinot Noir) from Rheinhessen. These wines are sold under the Weil Junior name. The production is handled by Weinhaus Robert Weil, a newly founded, completely independent company, with an identical ownership structure as Weingut Robert Weil. 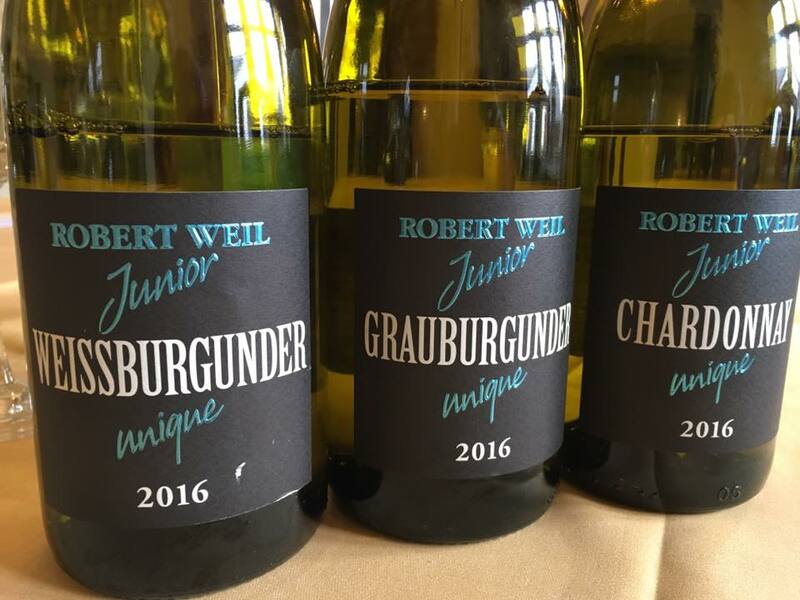 In March 2017 , the Robert Weil Junior Grauburgunder, Weissburgunder and Chardonnay wines started to become available on the shelves. In September, a Weil Junior Spätburgunder will be added. The wines are from the year 2016. 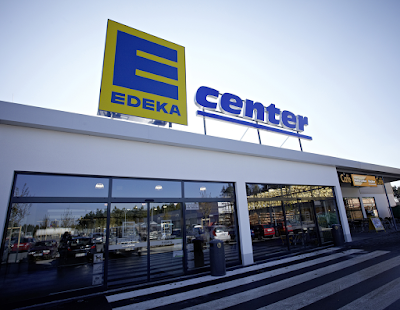 The wines are exclusively sold through the EDEKA chain during the first 2 years. They are offered for Euro 7.99 per bottle and are thus about five euros under the price of the entry-level Riesling from Weingut Robert Weil. I want high quality coupled with good market presence and reasonable prices for my Robert Weil Junior wines said Wilhelm Weil. While Weingut Robert Weil’s Riesling wines from the Rheingau can be pricey and are mainly sold to restaurants, private customers and specialized retail wine stores, never via supermarkt chains, Weinhaus Robert Weil's Burgundy wines from Rheinhessen are sold exclusively via a supermarkt chain initially. This may change over time. Eventually, Wilhelm Weil is also eyeing the internal markets with his Weil Junior wines. Wilhelm Weil compared his enlarged portfolio with that of car producer BMW. The world class car producer's portfolio includes high-end modells (corresponding to the Weingut Robert Weil Riesling wines) but also the low-end Mini (corresponding to the Weinhaus Robert Weil Junior wines). From a different angle, Robert Weil's overall portfolio now includes not only Right Bank (Rheingau) wines but also wines from the Left Bank (Rheinhessen), as Wilhelm Weil put it. With the establishment of a “Weinhaus” using the domestic and international reputation of the Robert Weil name, Wilhelm Weil follows into the footsteps of others who have gone this route before. The Dr. L wine of Ernst Loosen of the famous Mosel Weingut Dr. Ernst Loosen is perhaps the best example of how this concept works. Wilhelm Weil works with around 20 contract growers in Rheinhessen, who are paid for in a quality-oriented way and who are given clear guidelines for the respective work steps in the vineyard. The total vineyard area is 40 hectares and the annual production is 8000 cases. The grapes are processed by Adam Trautwein in Lonsheim. Trautwein produces 60 million liters of wine annually. The Weil Junior wines will be bottled by WIV Wein International in Burg Layen. The Rheinberg Kellerei in Bingen will be resoponsible for the distribution to the EDEKA stores. The magazine "Weinwirtschaft" calls the step of Wilhelm Weil the "most exciting new project in the German wine industry of the past few years".